Ventilated backpacks, also called suspended-mesh backpacks, keep you cooler and drier when backpacking in hot or humid weather or when you’re carrying a heavy load. First invented by Deuter Packs, they’re one of the most sought-after backpack features by backpackers. While many backpack manufacturers claim that their backpacks are ventilated, it’s important to differentiate between backs with trampoline-style backs that have large air gaps between the mesh and frame to encourage air-flow, and those that have marginally effective “foam air channels.” The performance difference is significant. Here are 10 best ventilated backpacks of 2019. Many of these backpacks are available in multiple volumes and for men and women, as noted below. These are the best-of-the-best ventilated backpacks that will keep you drier and comfortable on the trail. The Osprey Exos 58 is an ultralight style backpack that weighs 2 lbs 11 oz. It has a top lid, side water bottle pockets, a front shove-it pocket, and removable sleeping pad straps. The top lid is removable and can be replaced with a speed lid to lighten the pack. The ventilated mesh back panel is quite comfortable with excellent air flow to keep you dry. The men’ s Exos 58 is available in a 48 liter size. The women’s specific version of this backpack is called the Osprey Eja 58. The Gregory Optic 58 is a multi-day, ventilated backpack that weighs between 40-45 oz depending on how you configure it. The Optic is a top loading backpack with a removable top lid. It has a pre-curved hip belt with durable hip belt pockets, a front mesh stuff pocket, and side mesh water bottle pockets. The wire internal frame provides excellent support with a maximum recommended load of 30-35 pounds. The Optic is also available in 48 liter size. The women’s specific version of this pack is the Octal 55. The REI Flash 55 is a roll top ultralight style backpack with an optional top lid. It has a ventilated back panel that flows continuously into a pre-curved hip belt providing a seamless that fits close to your core muscles for maximum carrying efficiency. This pack has a pair of additional water bottle sleeves located behind the hip belt that make it easy to reach and replace water bottles, in addition to the two side pockets and the mesh front pocket commonly found on ultralight backpacks. Weighing 2 lbs 10 oz, the pack is have strippable pockets and straps that let you reduce it to 2 lbs 3 oz in weight. A women’s version of the Flash 55 is also available. The Osprey Levity 60 (also available in 45L) is Osprey’s latest ultralight ventilated backpacks weighing in at 1 lb 14 oz. It has very lightly padded hip belt and seamless mesh back for extra comfort on the trail. A top loader, it’s laid out like many of Osprey’s packs with an open front shove-it pocket, two side water bottle pockets, and pockets in the top lid. While the pack does have side compression straps, it’s otherwise very light on features to shave every ounce of gear weight possible. The women’s version of this pack is called the Lumina 60. The Deuter Futura Vario 50+10 is a multi-day backpack with an adjustable length torso and a floating, padded hip belt pivot to match your movements for greater comfort. This top loader has a front zipper for easy gear access and a sleeping bag pocket for better gear organization. A floating lid, side water bottle pockets, hip belt pockets, and a rain cover complete this ventilated backpack’s feature set. While the weight of 4 lbs 9 oz is a bit on the heavy side, this pack provides excellent load transfer to the hips, which is why it’s a user favorite. The women’s version is called the Futura Vario 45+10 SL. The Zpacks Arc Blast 55 Backpack is an ultralight backpack made with a waterproof fabric called Dyneema Composite Fabric (formerly called cuben fiber). It has a curved perimeter wire frame with a mesh panel, only it’s exposed with a user-adjustable curve angle, unlike the other ventilated backpacks listed here where the curve angle is fixed. The Arc Blast is a roll top backpack with a front mesh pocket and side water bottle pockets. Each Blast 55 is made to order and can be customized with numerous features. Weighing just 21 oz, this is a popular ultralight backpack with long distance thru-hikers. The new Gregory Zulu 55 is a ventilated and adjustable length backpack designed for multi-day backpacking trips. It has a comfy mesh ventilation system that spreads the load across your back and torso, and is similar to Osprey’s AG (Anti-Gravity) ventilation system. The Zulu has two side water bottle pockets, a front shove-it pocket, a sleeping bag pocket, rain cover, and two hip belt pockets for gear organization. A front U-shaped zipper also provides zipper style access to the main compartment. Weighing 3 lbs 10 oz, the Zulu 55 is remarkably lightweight for such as full featured backpack. A 65 liter and 40 liter version is also available. The women’s specific version of this updated pack is the Gregory Jade 53. The Osprey Stratos 50 is a mid-volume multi-day backpack that’s loaded with high-end features. In addition to a top lid, it has a side zipper that lets you access gear from the main compartment, while a separate sleeping bag pocket provides additional gear organization. Weighing 3 lbs 8 oz, it has a front shove-it pocket with zippered pockets on its exterior, two pockets in the top lid, and two side bottle pockets. Large hip belt pockets and a seamless suspended mesh panel round out the pack’s feature set. The Stratos is available in multiple volumes including 50, 36, 34, and 24 liter sizes. 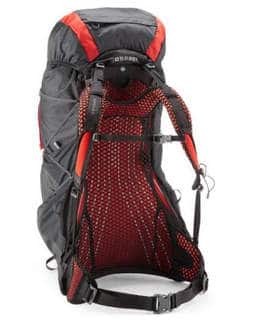 The women’s specific version of this pack is named the Osprey Sirrus 50 and is also available in 36, and 24 liter volumes. The REI Traverse 70 Backpack is a highly configurable backpack with an adjustable torso length and interchangeable men’s and women’s hip belts and shoulder straps so you can get a perfect, gender-specific fit. The Traverse features has a unique compression system that pulls the pack load up and in, closer to your center of gravity, in addition to a pivoting hip belt so you maintain better balance over uneven terrain. Two zippered pockets on the front hold gear you need to reach quickly, while a stuff-it pouch holds wet gear. Weighing 4 lbs 14 oz, the Traverse 70 is on a heavier side for mutli-day backpack, but the fit of this pack is hard to beat if you’re hard to fit. A Men’s Traverse Backpack is also available in an 85 and 35 liter size, while the REI Women’s Traverse 65 is also available in a 35 liter size. These are the most important variables to consider when buying a backpack. SIZING: The two most important dimensions for sizing a backpack are your torso length and your hip belt size. Measuring your torso and matching it to pack sizes is pretty straightforward. Measuring the hip belt size you need is a little more obscure because the hip belt specs published by backpack manufacturers have nothing to do with your waist size or hip bone girth. When trying on hip belts, make sure the padded portion of the hip belt covers the front of your hip bones. If it doesn’t, the hip belt is too short and more of the load will rest on your shoulders and less on your hips. If the pack you’re interested in doesn’t have a hipbelt that’s large enough to cover your hip bones, do yourself a favor and buy a different backpack. WEIGHT: The weights of backpacks can vary widely depending on their volume and feature set. Higher volume, multi-day back packs over 60 liters generally weigh in at 4-5 pounds, while packs 50 liters and less weigh in at 2-4 pounds. There’s no hard and fast rule that limits acceptable pack weights; just remember that a heavier backpack will be harder and more tiring to carry and let that be your guide. VOLUME: The backpack volume you need will vary depending on specific gear you need to carry, weather conditions, and number of days you need to hike between resupply points. Generally speaking, daypacks range from 15-35 liters in size; weekend backpacks range from 30 liters to 50 liters, while multi-day backpacks range from 50-70 liters. Expedition sized packs are much higher volume and can range from 70-110 liters in size. POCKETS: Most backpacks have a combination of open and closed pockets. Open pockets are useful for storing gear you want fast access to without having to open the main compartment of your backpack. They’re also good for stashing wet gear in order to keep if separate from the dry or delicate gear you store in closed pockets. LOAD LIFTERS: Load lifters are straps attached to a backpack frame, above the shoulder pads, that let you pull the the top of the pack forward if you feel it pulling you backward onto your heels. They’re a standard feature on high volume backpacks but aren’t as important on smaller volume packs intended to carry lower gear weights. VENTILATION: Ventilated backpacks help keep your back and shirt drier by encouraging air flow behind your back and faster evaporation of perspiration. They’re also called suspended mesh backpacks or trampoline backpacks. Largely a comfort feature, they have a minor impact on hiking speed or performance. TOP CLOSURE: Backpacks typically have top lids or roll top closures to prevent rain from draining into the main compartment. Both closure systems have different merits. Top lids usually have one or two internal pockets which provide additional gear storage for gloves, hats, maps, and navigation equipment. Roll top closures are simpler and faster to use with fewer straps and provide excellent top compression. ATTACHMENT POINTS: Backpacks are designed in to carry gear internally and externally, attached to the outside of the backpack. External attachment points or straps are helpful when you need to carry bulky gear that can’t fit inside your pack like foam sleeping pads, avalanche shovels, skis, snowshoes, or tent bodies. How do we know what the 10 best ventilated backpacks are? We survey our large readership to ask. 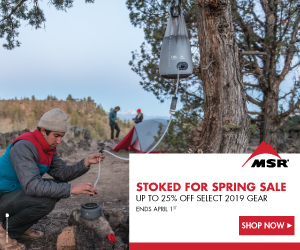 If you’d like to participate in our surveys, be on the look up for the gear raffles we run every few weeks on SectionHiker, where we give survey participants a chance to win. Or sign up to the weekly, award-winning SectionHiker newsletter, so you never miss out on an opportunity to participate. We hate spam, so we’ll never share your email with anyone else and you can unsubscribe at any time. Nice to have this style of packs gathered in one place. The Levity wasn’t on my radar yet. Re. “First invented by Deuter Packs… (suspended-mesh packs).” I’ve seen this before. Maybe for internal-frame packs? My old Kelty Tioga from the mid-70s has two mesh bands that held the pack body away from one’s back, and i think they started making those years earlier than that. It appears Deuter’s versions first appeared in the 80s. Lowe alpine did internal frame packs. Four Osprey packs, and only one Zpacks. Why not all three of the Zpacks packs? All have the same ventilation/ suspension systems. Could it be Osprey are paying for promotion and Zpacks don’t? Osprey doesn’t pay me. Nor does Zpacks. If they did you’d see a notice of sponsorship on this post. You can think what you want, but I really do have my readers best interests in mind and have for the past 10 years of running this website. That’s why people come back. I have the EXOS 58 in Large. It is the most comfortable backpack I’ve ever owned and that includes my dry nice (but heavy) Dana Designs Terraplane. The EXOS carries even loads of 45 lbs. comfortably though that is the upper end of its capacity to do so. The one feature I found useless, to me was the hiking pole storage loops so I cut them off. I store my sit pad behind the mesh trampoline back and it stays securely there all day. I do wish Osprey would make the belt pockets 2 X larger are so they would be much more useful. AND the “shove it” front pocket mesh has torn a bit so Osprey needs to reinforce it the way Gregory has done with their mesh front pocket. I’n going to sew the small tear with black thread and then use Shoe Goo in criss-crop stripes to reinforce the center area of this pocket. BTW, Notice that Ospey has 4 entries in this category? That’s because they have utilized their trampoline style back suspension with some modifications on several different sizes of packs. Gradually we see this style of bak suspension moving to other pack brands. But remember Colin Fletcher’s (“The Compleate Walker”)external frame Trailwise pack with the mesh back? Not everything in new packs is “new”. Missing the Exped Lightning 45 / 60 here!